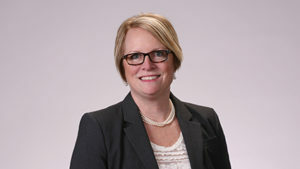 Lauri Ann Schmid is pleased to announce she has joined Dougherty, Molenda, Solfest, Hills & Bauer P.A. as a shareholder. Lauri will continue to provide the same level of excellence and client service, but she is also excited to offer her clients an even broader range of legal services and resources, which are now available to her through her new firm. Dougherty, Molenda, Solfest, Hills & Bauer P.A. is a full-service law firm located in Apple Valley, Minnesota. With 17 attorneys, Dougherty, Molenda, Solfest, Hills & Bauer P.A. offers the experience and capabilities of a large law firm, with the personal service, value and attention clients expect in a small-firm environment. Leveraging nearly three centuries of collective experience, the firm’s lawyers collaborate across practice areas to deliver cost-effective legal solutions and strategy. With so many practice areas under one roof, the firm’s attorneys are equipped to assist businesses and individuals to resolve their singular or multifaceted legal issues. The firm’s practice areas include appellate law, banking law, bankruptcy law, business law, litigation, estate planning, employment law, family law, municipal law, personal injury and real estate law. The choice to declare bankruptcy (Chapter 7, 11 or 13) can be caused by strenuous personal and professional challenges, and is one of the most stressful decisions a person will ever face. Your choice can not only affect you, but your family as well. At Dougherty, Molenda, Solfest, Hills & Bauer P.A., we are here to help you through the process. Dougherty, Molenda, Solfest, Hills & Bauer P.A. provides transactional corporate and business legal services. We help both small and large businesses find and implement the best legal solutions. Our services include business structuring and legal entity selection (Sole Proprietorshp, General Partnership, C-Corp, S-Corp, LLC, etc. ), sales and acquisitions, corporate governance, commercial and leasing agreements, and more. Whether you’re an individual or a business, let us take the uncertainty out of your real estate transactions. Title transfers, purchases and sales, title and county records reviews, purchases agreements, leases and more. Attorney Lauri Schmid is a graduate of Concordia College (Bachelor of Arts in General Business) and Hamline University School of Law, both of St. Paul.